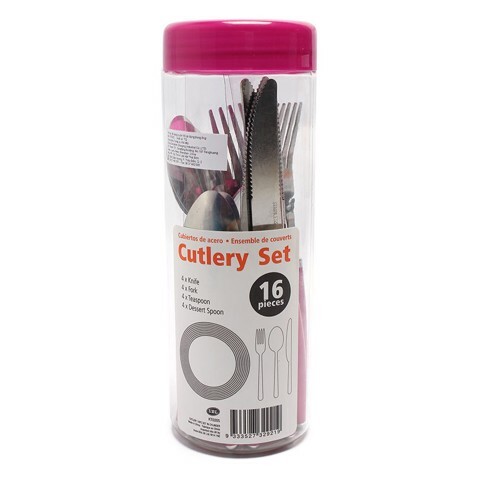 Cutlery 16Pc Set In Cylinder 2Asst. 1.2mm Thickness Knife x 4Pc l 1.5mm Thickness Spoon x 4Pc l 1.5mm Thickness Fork x 4Pc l 1.2mm Thickness Tea Spoon x 4Pc. Black and Light Pink Handles. Stainless Steel. 13.1 Packaging: Cylinder with Screw On Lid.